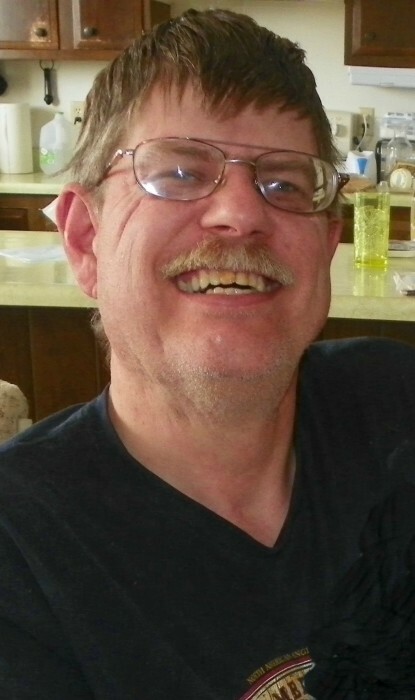 Robert Joseph Vukasin II ,54, of Great Falls, passed away on Thursday, February 7, 2019. A private family burial will occur at Riverside Cemetery, Fort Benton, in the spring. Robert was born September 20, 1964 in Great Falls to Robert and Ruth (Culbertson) Vukasin. He was raised in Great Falls and Havre, having graduated from Havre High School in 1983. He met Pamela Willson, whom he married on March 26, 1986. They remained together until her passing six years later. Robert had a big heart and was always willing to help someone in need. He was an avid volunteer at the Havre Soup Kitchen and found peace and unity in attending church. When not helping those in need, he enjoyed spending time with his family, especially his nephews. He loved to fish, play darts, pool, bowling, Magic and other role-playing games. Robert also enjoyed music (especially Elvis), movies, and a fan of all sports, especially the Pittsburgh Steelers. He leaves behind his mother, Ruth M. Vukasin; sister, Cindy M. Vukasin; brother Rex T. (Melanie) Vukasin; nephews, Mark A. Vukasin, Christopher A. (Katie) Vukasin, Colin R. Vukasin; great niece, Ashlynn P. Vukasin. Robert is preceded in death by his wife, Pamela Vukasin; father, Robert J. Vukasin; brother, Mark Vukasin; grandparents, Mark and Hannah Vukasin, Bob and Kay Syth.